Peter Tay of Peter Tay Studio is the Singapore-based celebrity interior designer to stars, such as Zhang Ziyi, Zoe Tay and Stephanie Sun. His portfolio comprises high-profiled residential and commercial projects. He has worked on boutiques and showrooms for Richard Mille, Manolo Blahnik, Armani Casa and Poliform (Space Showroom), numerous high-end showflats for SC Global and Hotel Properties Limited (HPL) in Singapore and the region. 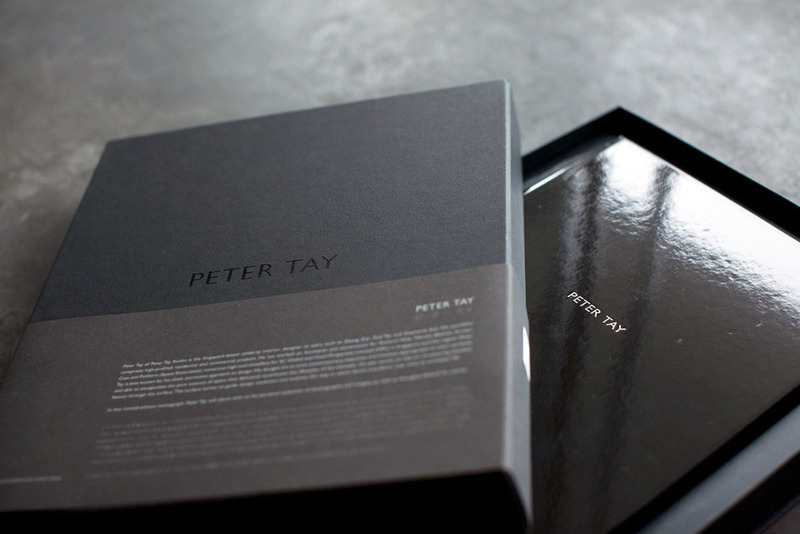 Peter Tay is best known for his sleek, minimalist approach to design. His designs are at once contemporary, exquisite and timeless, appropriate to their contexts and able to encapsulate the pure essence of space that delicately accentuate the lifestyles of his clientele. He also works on the art of tailoring timeless beauty through the surface. The surface serves to guide design invention and outlines the way in which forms transform over time to envelope life. In this limited-edition monograph, Peter Tay will share with us his personal selection of photographs and images, as well as thoughts behind his works.